In a sign that convenience and speed have taken central stage in the life of American mothers, Amazon has replaced Band-Aid as the most preferred brand among US moms. YouGov Brand Index asked approximately 73,000 mothers with children under the age of 18 to rank 1,500 brands according to quality, value, satisfaction, impression, reputation and willingness to recommend it to a friend. The scores, taken online between February and April 2016 and the same time frame in 2017, reveal a top-10 list of moms’ favorite brands. The list includes several perennial favorites: Band-Aid slipped to no. 2, Dawn moved up one spot to no. 5, Samsung climbed two rungs to no. 8 and Cheerios dropped two places to no. 9. New to the 2017 list are Netflix (no. 3), Hershey’s (no. 7) and YouTube (no. 10). Google took the no. 6 spot after dropping off the list in 2015 (there was no survey in 2016). 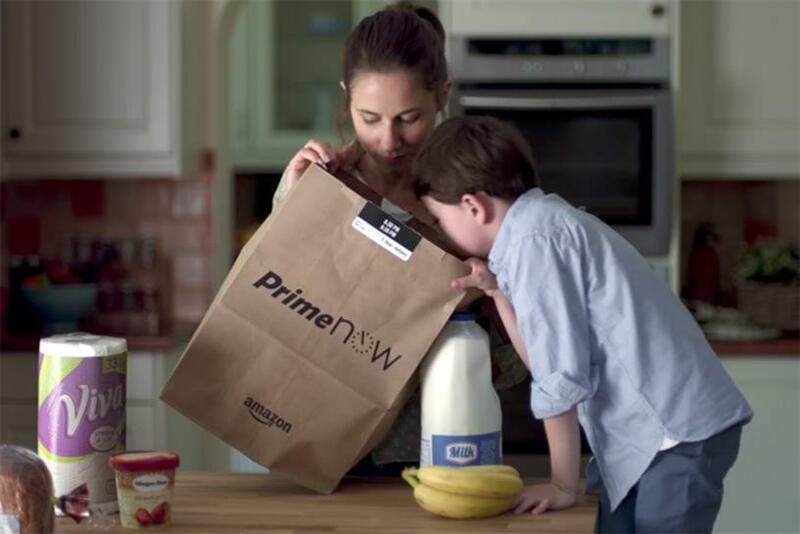 For moms, Amazon represents the "convenience of being able to shop from home," said YouGov BrandIndex CEO Ted Marzilli. "Everybody’s busy. Being able to order what you need from your laptop or your mobile device is a huge convenience, and they keep coming up with faster and faster delivery options. It’s really become what Walmart was 20 years ago, but in the online space." The study also demonstrates that no brand can hold a mother’s loyalty year after year, said Marzilli. Skechers, which ranked eighth in 2015, didn’t even make the cut this year. Instead, Nike, which was no. 4 in 2014, regained that same spot. And for the first time since YouGov BrandIndex started the Mother’s Day survey in 2013, M&M’s didn’t make the top 10. Instead, Hershey’s is the only confectionary marketer on the list. "It’s not always clear what’s driving the changes," Marzilli said. The reason that Nike usurped Skechers, however, is that "footwear is becoming more of a fashion business," which means the "category is going to be subject to more volatility." But "it’s a bit harder for me to read the tea leaves with the chocolates," he said. Johnson & Johnson, which is battling numerous lawsuits alleging its baby powder causes ovarian cancer, is off this year’s list, too, along with Black & Decker and Clorox. YouGov BrandIndex also measured the biggest gainers year over year. TLC, which airs shows like "My 600-lb Life" and "Long Island Medium," was the most improved, trailed by T-Mobile, Delta, The Honest Company, Super 8 Motels and Motel 6. Moms rated the two budget hotel chains high on quality and satisfaction, according to the survey, but Marzilli points out that they still received negative scores overall. "The scores are going in the right direction," he said. "But they’re still less than zero, which implies that more moms have a negative rating for those brands than a positive one." Ratings measure between -100 and 100, with zero being neutral. Despite these negative ratings, Marzilli said, moms are typically a glass-half-full bunch. "This will sound maybe stereotypical or chauvinistic, but I think moms are actually more positive than the general population," he said. "A 62 score is really high for Amazon, the no. 1 on the list, and nearly 61 for Band-Aid, those are really high scores. The brands that moms like, they’re not shy at telling us they like them."